Mindblowing jazz from Japan – a tremendous introduction to the 70s scene in Tokyo if you've never heard this music at all – and a package that also includes a fair bit of rare tracks, even if you're not a newcomer! 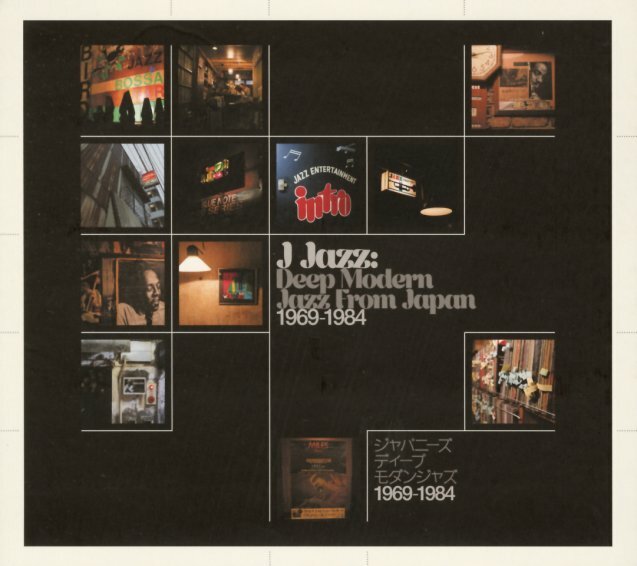 The Japanese love of American jazz is no secret – and the music was spread widely there by American forces after WWII – but during the 70s, something really special happened, and the scene found a voice that was all its own – exploding with new energy to create sounds that were soulful, spiritual, and powerfully poetic! By the end of the 70s, Japanese fusion would get more global exposure – but most of the tracks here are acoustic, save for Fender Rhodes lines – and feature completely inventive, imaginative sounds – often set to grooves that are modal and spiritual too. A fantastic collection throughout – with tracks that include "Blind Man" by Shintaro Quintet, "White Fire" by Takao Uematsu, "Aya's Samba" by Eiji Nakayama, "Earth Mother" by Koichi Matsukaze, "Dead Letter" by Tohru Aizawa, "Kaze" by Takeo Moriyama, "Long Neal" by Kiyoshi Sugimoto, "Unknown Point" by Mitsuaki Katayama, and "Little Island" by Fumio Karashima. 3LP set features bonus tracks – "Sea Breeze" by George Otsuka and "Ode To Workman" by Terumasa Hino and Reggie Workman. © 1996-2019, Dusty Groove, Inc.